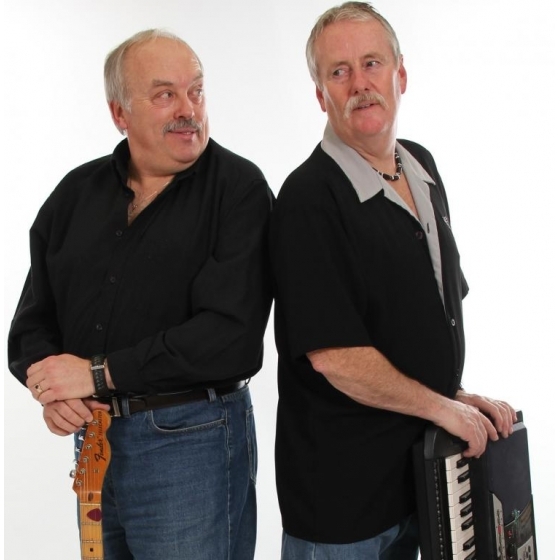 This Versatile Duo is comprised of Talented Musicians that have been playing together for More than 38 years in the Southern Ontario area, Instrumentation consists of Multiple Keyboards,Guitar and Electronic Sampled Drums with well balanced Vocals. Graham and Bowie are well groomed to play just about any kind of music, Private and Corporate Partys and venture from 50's Rock'n Roll , 80s-90s Rock to Old and Modern day Country and Oktoberfest and St Patricks Day and every kind of music in between . One of the things G&B take pride in our there Childrens Shows with lots of Participation and lots of interaction with the children - Meet Mr Bubbles !!! . Give Graham and Bowie a call today for your next Live Music adventure ! !